Chad continued by highlighting the importance of contrasting strong narratives with striking images, noting the need for a curveball of unpredictability to truly make a video polarizing. There’s excitement in his voice, the noticeable enthusiasm of a man discussing his passion. The idea of great stories being told through great songs is what inspired my desire to talk with Chad, the director behind superb music videos from Dreamville’s EarthGang and J.I.D. Kudos tend to surround the rappers&apos; katana-sharp lyricism and their contemplative examination of everything from Atlanta to America. In an era where videos carry a similar weight of importance as the music, though, working with a great director is imperative if an artist wants the song’s spirit to be perfectly translated into a visual language. The art of directing a visual journey has been a medium Chad has explored since entering Atlanta’s music video scene as a sought-after director of photography at the age of 16. After some time in film school, he went on to build Resolve Media Group, a production company that does everything in the visual medium, from shooting feature films to directing commercials for high-profile clients. 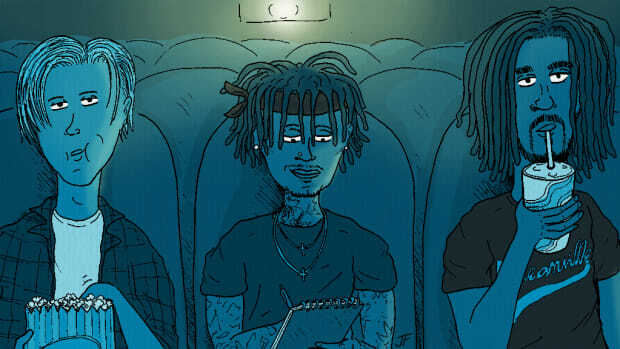 The “Can you make it happen, Chad?” phone calls and “What are you doing next week?” texts are common between the director and Barry Johnson, the manager of both EarthGang and J.I.D. Their work history started before Barry was managing the Atlanta trio, but the ties have stayed strong throughout the years. 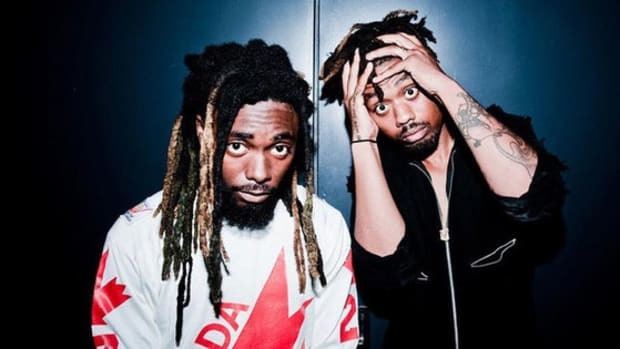 Chad is who they called when it was time to shoot “Momma Told Me” and “Liquor Sto&apos;,” two songs off EarthGang&apos;s 2015 debut album, Strays with Rabies. Both videos were shot within the same 12-hour day, six hours dedicated to each. This was before Dreamville and any real budget. The setting of “Liquor Sto&apos;" was a modest liquor store located in Decatur, Georgia that Chad knew about from high school, and yet the final product was a beautiful, cinematic affair, with incredible visual storytelling. "With music videos, really with anything, the high ticket is the talent. It’s 80% the driver and 20% the car. We never approached it for money. We aren’t going to make money on the little budget ones but we have an opportunity to make something really cool with these artists that are down for telling stories, pushing the envelope, and not being afraid to be vulnerable. Artists about entertaining, but also educating. 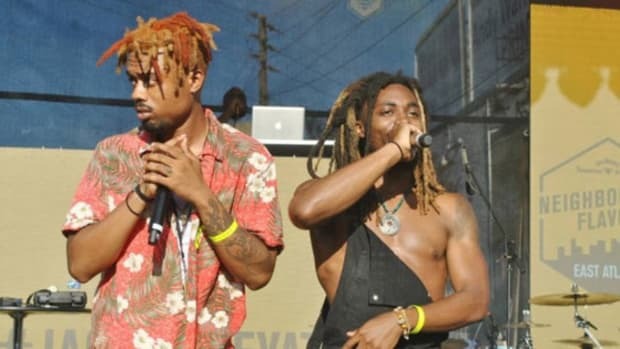 Of all my clients, the creative process with EarthGang and J.I.D is always awesome and slowly becomeing like family." After revisiting “Momma Told Me” and “Liquor Sto&apos;,” Chad fondly championed the two videos as his favorites. There’s pride in knowing few resources and small budgets can still make amazing videos when all the parties involved are hungry and determined to make meaningful art. 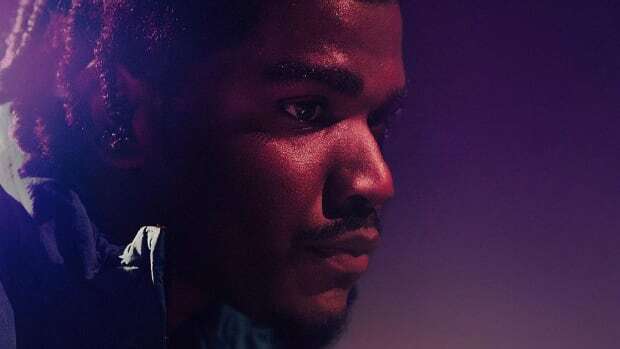 His feelings for the past doesn’t overshadow his excitement for the future, though, and his voice lit up while talking about a forthcoming video for “Ready To Die." 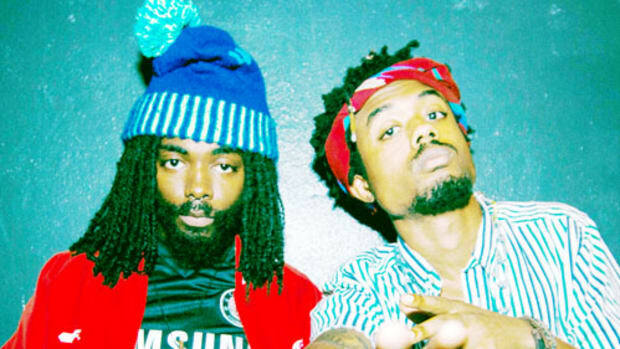 There’s also a lot of excitement surrounding “Robots,” the latest release from EarthGang. “I loved it as soon as I heard it,” Chad explained. 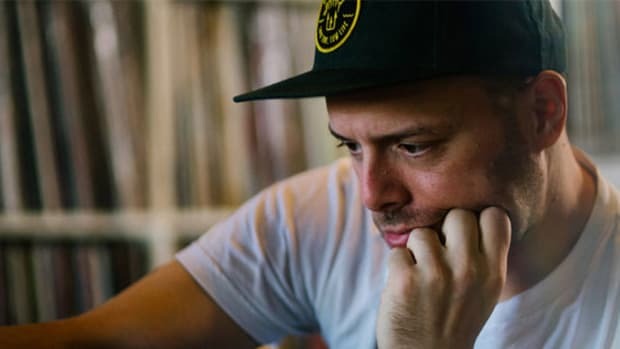 “The idea came to me and I started typing on my phone.” Before he ever pressed play, Chad was told the guys had a creative direction but the idea never reached his inbox. Instead of waiting, he wrote his own interpretation and, after receiving the thumbs up, was given the okay to start working on a video treatment. “Robots” is based in a retro suburbia in a world fit for &apos;70s-&apos;80s G.I. Joe toy commercials. An old-school commercial for G.I. Joe was used in the treatment as an example of what they wanted to make, a video where Johnny Venus and Doctur Dot are toys bought by one very uncool kid. Chad explained the concept of life-size EarthGang toys and how they enter the dull lives of this kid and his parents. It’s the setting for hijinx, the kind of Toy Story that Disney would never tell. They fall into the toy roles naturally, moving like robots who are there to please everyone around them; Dot having a joint stored in his chest is incredibly on-brand. "It’s a big metaphor for how we treat artists and celebrities in a materialistic, very consumerism kind of way. We take it when it&apos;s hot and new and we like it, but soon as something newer is out we throw it out. Everyone is using them how we want to use them for our own pleasures, but very much you’re a product that’s disposable." 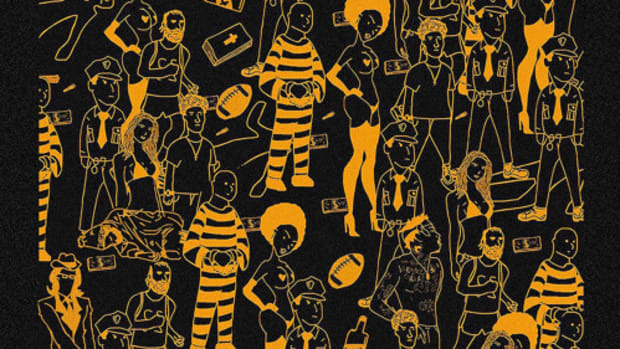 Creative and fun, while still reflecting how society handles celebrity culture. This is where EarthGang and Chad’s relationship works well: a passion for the creative narrative that’s going to make people think, discuss, or at least wonder. The video for their most recent single, “Meditate,” is filled with strong and striking imagery and symbolism to unpack―Venus being hung by the American flag, the blindfolded white man waving around the assault rifle, baby Trump building a wall of bricks, and a little Asian child making American flags. It’s a loose narrative that depicts different facets of America in 2017. "It was a bit inspired by the scene in &apos;O Brother, Where Art Thou?&apos; Visually, that’s where I wanted to take it. But I don’t know. It was a little bit taboo, especially with the lyrics they’re talking about. We just need to put them in a squad of white chicks and have them getting drunked up and make it real Southern. Its weird because the tone feels all good, but there’s a sense of things aren’t right because you’re seeing all this other weird stuff going on. We wanted to throw the viewers somewhere that they don’t know, make them ask a bunch of questions. We always want stay ahead of the viewer and never let them get ahead of you. They shouldn’t predict when you’re about to cut to a dinner scene. With these guys it was seeing how far we could take it. They’re slowly but surely finding their brand." 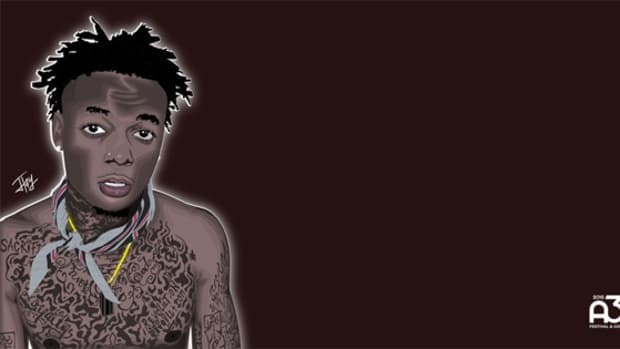 J.I.D&apos;s presence in the video is, admirably, nearly nonexistent, but even without the artist, the narrative draws you in. The final scene, in which he sees the girl flirting with the other young man, went through seven different shots, each one a little different. There was even a scene with dialogue, but it was ultimately left out. The silence is golden, there’s a certain magic watching as it all unfolds with very few words exchanged. Little details also make “Hereditary” the kind of video that draws you in, like how everything changes through the generations. From 1975 to 2017, we watch as attire, hair, and even cars slowly update. It’s like watching time move while standing still; couches and lamps remain in the same place in the house, but they change with the times. "The biggest intentional thing where I was trying to be as literal as possible is when we cut to daughter now arguing with her husband or boyfriend. We aren’t sure but she’s about to have a baby with him. So the shot is down upside down, and you think this is weird. When the shot moves up you notice its a mirror and it’s an utter reflection of the same spot her parents were. How she saw them arguing. A literal reflection. Sometimes it’s the simplest thing. It doesn’t have to be complicated. Mirrors are used as motifs in that. I could’ve played with clocks more. Even when she’s playing with toys, it’s a theme there. I needed a doll house and I needed it to work with my color palette. The art directors scoured different stores and try to stay under budget. I wanted her to play house. The family unit. The household. Everything that happens under that roof." Not every video needs a big, intricate narrative. Some are basic, like Drake’s “Hotline Bling.” A video that is meant to be fun and simple, but also that looks cool. With that said, Chad understands best that videos are art that can elevate a song, the way Trinidad James’ “All Gold Everything” blew up once the song&apos;s imagery was presented to the world. It made the record far more polarizing. There are music videos that not only give new life to the song but take on a life of their own. Pieces of visual art that cause a stir in people leave a lasting impression. 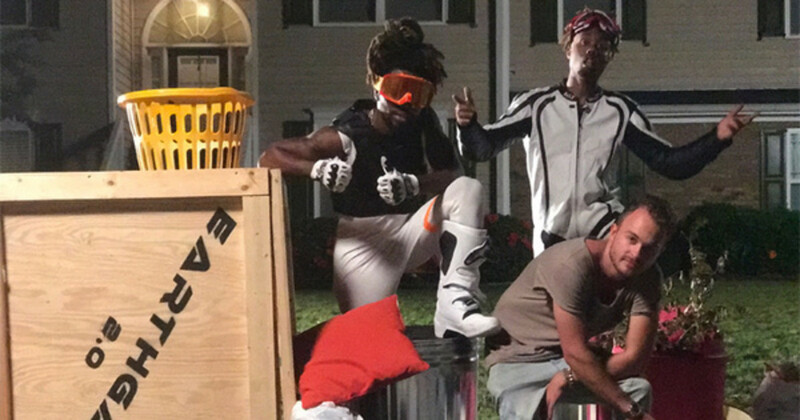 Those are the kind of videos that Chad and Resolve Media Group are making with EarthGang and J.I.D, creative minds that want to feel like they’re not just producing videos that look good but rather, that evoke emotion out of the viewer. This is why each collaboration has felt so fresh. They’re chasing the harmony between audio and visual to ultimately tell a great story. If you aren&apos;t watching the videos, you&apos;re only getting half the experience. A profile of Atlanta's next great rap star on the cusp of 'DiCaprio 2,' based on a series of interviews from 2016 and 2018. Monotone emcees are going by the wayside and I love it.